Fire safety is a major responsibility for self-caterers. This is the latest in the series of articles on regulations in the self-catering industry. It focuses on fire safety in self-catering accommodation and covers the responsibilities self-caterers have to ensure the safety of their guests. The information in this blog is based on advice from Garry Marshall, Deputy head of Fire Safety Enforcement for Scotland. Why is fire safety important in self-catering properties? Have a look at this short video to see how quickly a fire could devastate your holiday let. Evidently fire is dangerous in any scenario. Now put yourself in your guest’s shoes, imagine being in an unfamiliar house when a fire breaks out. It is crucial that you provide an extra level of safety precautions for your guests. How is fire safety governed? Depending on which region of the United Kingdom you live in, there are different legislative requirements. There are useful guides produced by the government which detail what you should do to be compliant in your area, they are linked at the end of this article. What can you do to make your holiday rental comply with fire safety regulations? Follow the chart below for a simple way to check if your property is safe. 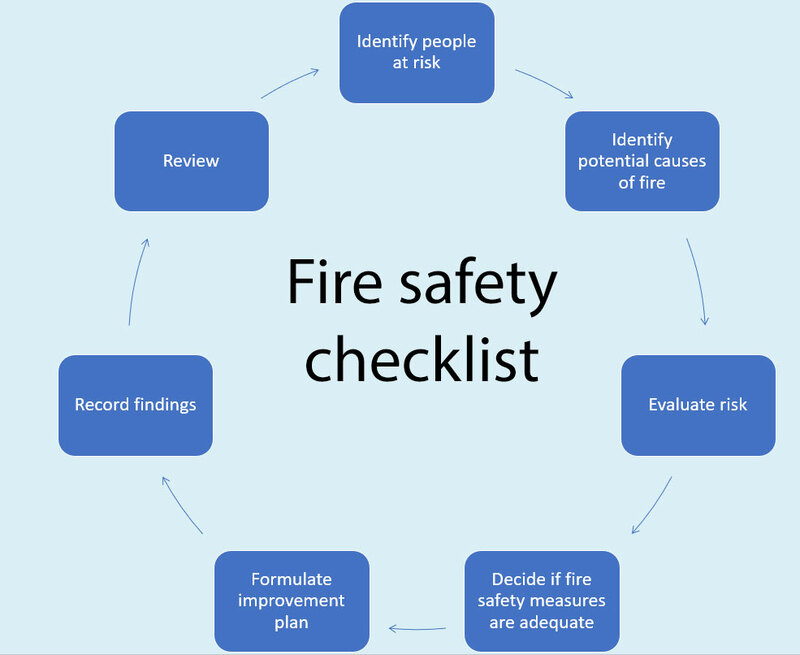 Conduct a fire risk assessment – you can do this yourself. By conducting a fire risk assessment it will enable you to ask yourself important safety related questions about your property, and act on them accordingly, further ensuring the continued safety of your guests. Identify what fire safety measures you need to take to make your self-catering accommodation safe, following identifying the risks (above). Implement the fire safety measures. Put the fire safety arrangements in place and re-assess these measures regularly. Schedule calendar reminders to review your fire safety risk assessment and outcomes. As with all legal requirements record keeping is important. Keep copies of all fire-risk assessments and reviews in a safe place that can be quickly accessed. Lastly, when you’ve committed to being a responsible self-catering owner or manager, take the opportunity to communicate that to guests (and potential guests). Include fire safety information in your welcome pack and communicate that you adhere to rules and regulations in a relevant section of your website. Getting in touch with your local fire station is really easy, and they love it when you stay in touch.